WHAT IS DIVINEMUSIQ ALL ABOUT ?As professionals with decades of experience, as well as an outstanding knowledge of the entertainment industry, we're the company to come to for all your music needs. The brand is now established as a hot favourite when it comes to providing the complete – and incomparable – bespoke package for your special event. WHAT CAN DIVINEMUSIQ OFFER THAT'S DIFFERENT ?We work together with you to create a great, tailor-made, highly individual event, guaranteed to get everyone talking. Across every aspect of décor, background and entertainment, we seek to understand your needs, go the extra mile, provide the added perfect touch – all in pursuit of total client satisfaction. We respect that everyone's individual. 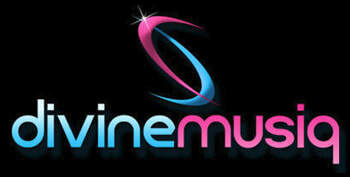 Therefore, no two Divine Musiq occasions will ever be the same. Ultimately and importantly, it's not just about putting together a package: our focus is firmly on you the client, to ensure that your event isn't just special or exclusive, but has an unbeatable factor… your own stamp of pure magic. YOUR MOMENT...OUR MUSIQ...CREATING THE PERFECT MEMORY.